Easter is a time of hope and renewal, and do we have lots of that around here! Bongo is still doing great with his rehab, and everyone is working flat out to get ready for the arrival of the new monkeys being released from research. If you can help with building, landscaping, general labor (the hard kind or the easy kind), please contact us! 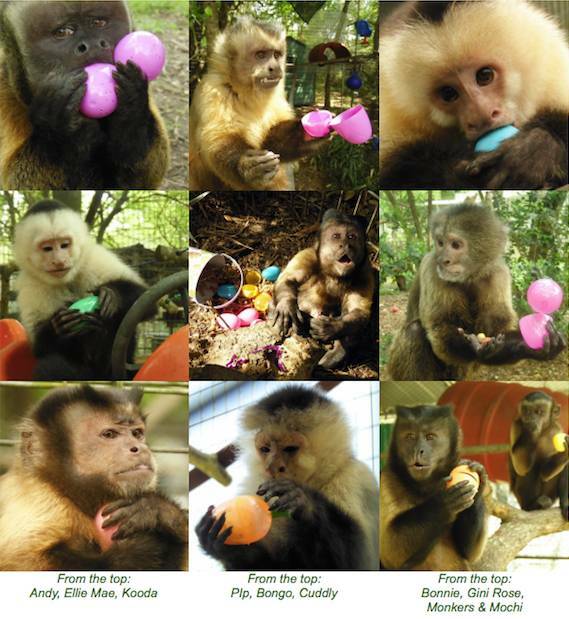 For more adorable monkeys enjoying Easter, click here! 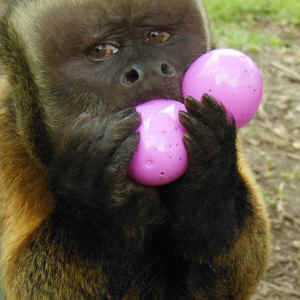 For the monkeys, Easter is a good chance for extra enrichment activities and my favorite -- egg hunt photo opps! 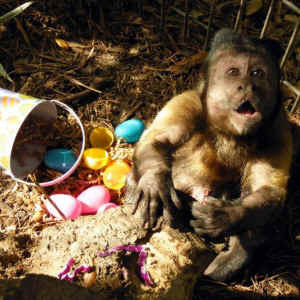 Every monkey reacts differently to receiving a little plastic egg filled with treats... hug it, bash it, cover it with a blanket, examine it, or take it and run...but they all clearly love opening those eggs. 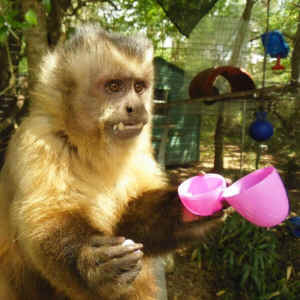 As our Easter gift to you, here is a gallery of capuchin monkeys with their eggs.